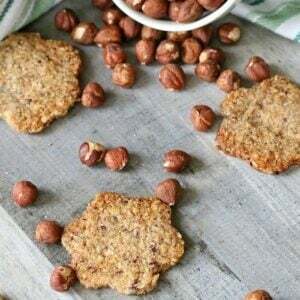 Keto Breakfast Cookies are an excellent way to start your day- they taste like a cup of hazelnut coffee from your favorite local coffee shop! I don’t know about you, but for me the morning is a super busy (like pull my hair out) time of the day. Everything seems to happen at once- my daughter running around looking for everything I told her to put together the night before, the dog wakes up and needs to go out like immediately, I realize hubby set up the coffee the night before…. you get the idea. For someone who likes to just be able to wake up and press a button and have coffee start, cooking breakfast is a big nope. Not going to happen. Not during the week. 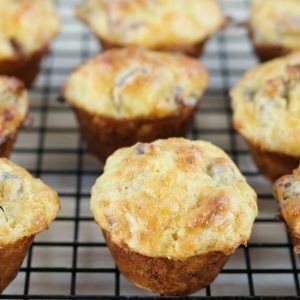 So how do we have a healthy breakfast without cooking, especially if eating Keto? 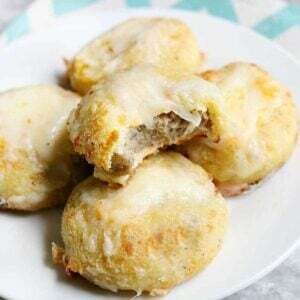 My answer is make ahead, grab n go recipes like these keto breakfast cookies. 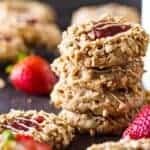 My keto breakfast cookies are crunchy, sweet and nutty. They freeze really well and defrost fast. The breakfast cookies last a full week stored in an air tight container. 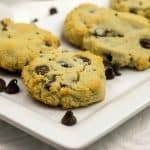 You can make a whole month’s worth of cookies- keep enough for a week out and freeze the rest. Remove them from the freezer each week! Simple. Breakfast for a month. Done. Beat egg whites with vanilla and coffee. Mix into dry ingredients. Press onto a flat surface. 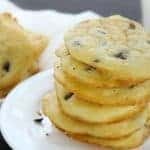 Cut out cookies. Bake. So simple. 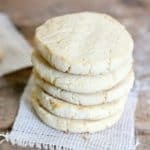 Recipe Idea– these keto breakfast cookies can easily be turned into a savory crackers. 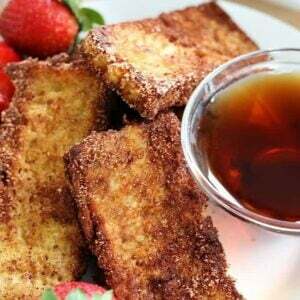 Simply skip the stevia and coffee. Instead add a touch of pink himalayan salt and some seasonings like rosemary or thyme. 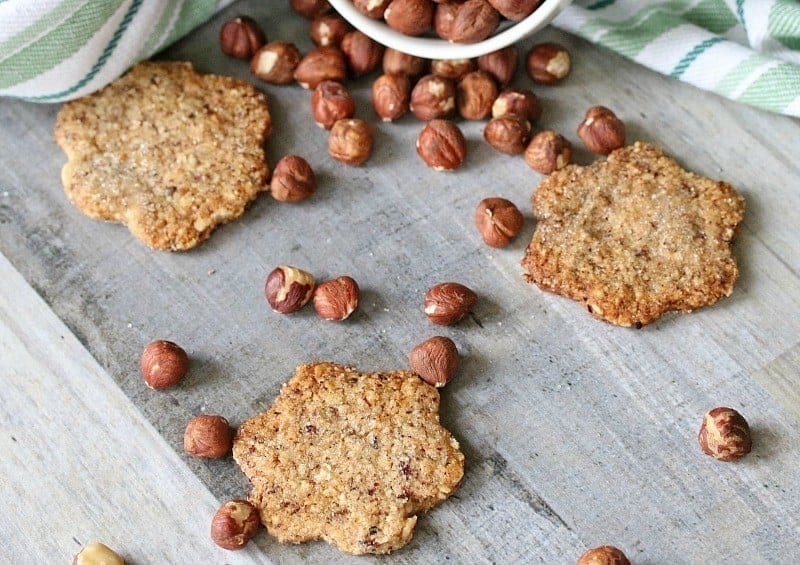 These keto breakfast cookies are the perfect option for keto, low carb and paleo eaters. 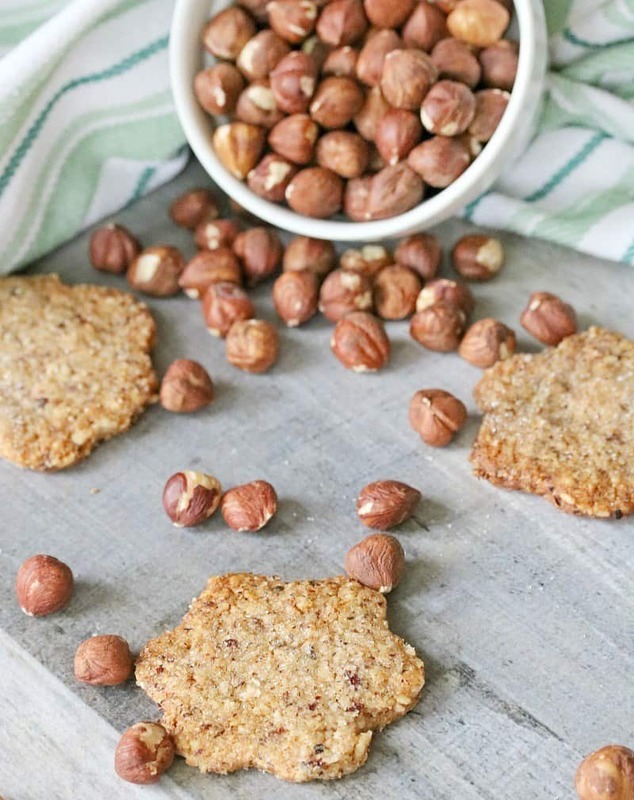 Crunchy, sweet and nutty, plus a surprise ingredients that puts them over the top! Add hazelnuts to a food processor and pulse until finely ground. Add remaining ingredients to the food processor and run until well combined. Scrape mixture out of the food processor onto a flat surface covered with parchment paper, plastic or dusted with almond flour. Press mixture out to about 1/4". 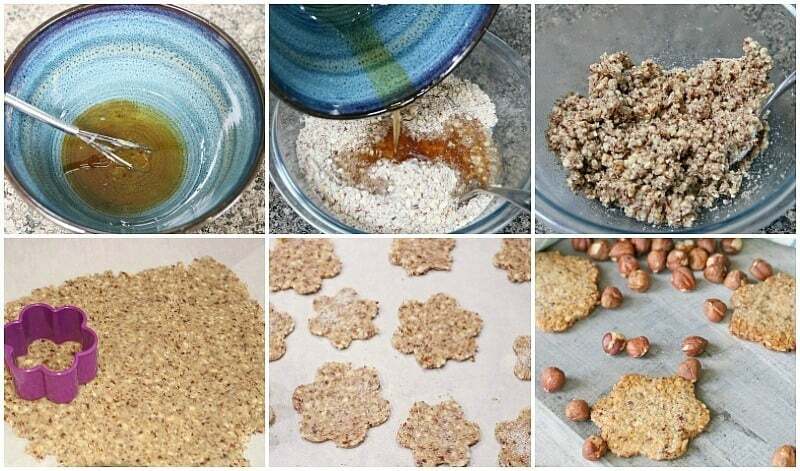 Use cutters to make cookies. 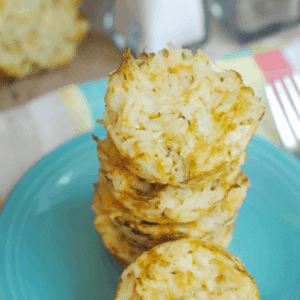 Place on sheet pan and bake 10 minutes or until golden. Allow to cool completely. Enjoy or wrap to store in the freezer.